Beginning November 26, 2018, owners of both residential and commercial properties can access their 2019 assessed values online. Assessments are also being mailed to property owners and should begin arriving this week. As predicted, residential property values are down slightly overall, with the total residential roll dropping by 4.17 percent. Commercial properties, on the other hand, are up slightly by 1.72 per cent. Total municipal property values have decreased overall from $15.9 billion to $15.5 billion for 2019. “Although the overall trend is down for residential properties and up for commercial, it is important to note that property assessments are a very individual thing and each property owner will need to examine their own assessment. While there can be many reasons for a change in value the goal is to ensure properties are assessed correctly,” explained Councillor Dave Lane, lead Councillor for Finance and Administration. 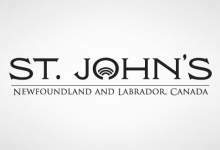 In St. John’s, assessments are conducted once every three years by professional assessors, using internationally recognized processes and the latest in assessment technology and systems. Assessors are trained and accredited to provide an accurate, independent and thorough valuation of the City’s more than 43,000 properties. A number of factors are used to determine property value, including neighbourhood market data, sale history, permits for renovations, additions and site visits. Assessed values are an important factor in determining individual property tax bills. On December 10, 2018, Council will announce the mill rates for 2019. To determine property tax, the mill rate is applied to the assessed value. Residents with questions about their assessments may contact the Assessment Division at 576-8929; the deadline to appeal has been extended until January 31, 2019 and details can be found on the Notice of Assessment. To learn more about the budget engagement process and to access the property tax calcualtor please visit: engagestjohns.ca/budget-2019-2021.